Upon completion of the Junior Year, students are eligible to transfer to a cooperating Engineering School to seek a Degree in one of the Physical Track Engineering Fields. After the Fourth Year, upon completion of 30 hours of the Engineering curriculum, students can also earn the B.S. 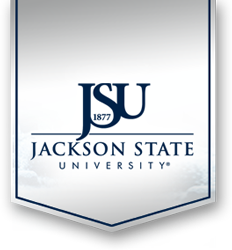 Degree in Physics from Jackson State University provided they complete the additional courses equivalent to the following FR or GR 101, 102 (6.0), Social Science Option (3.0), Philosophy Option (3.0), and Technical Writing (3.0). In the Fifth year, students would then complete the Engineering curriculum at the chosen institution. Students electing not to transfer at the end of the Junior Year may instead choose to remain at Jackson State University to complete the Senior Year as follows and receive the B.S. Degree in Physics.